Monkfish Book Publishing, 9780982324691, 350pp. 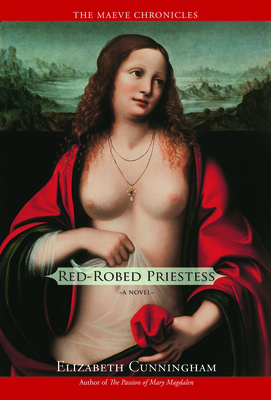 After a life of passion and adventure that has brought her through slavery to the Resurrection garden, through the controversies of the Early Church to a hermit cave in southern gaul, Maeve, the Celtic Mary Magdalen, returns to the Holy Isles accompanied by Sarah, her daughter with Jesus. Their mission: to find Maeve's first-born child, stolen from her by the druids more than forty years ago. Since then, Maeve's homeland has suffered it's own trials--Roman invasion and occupation. The Celtic tribes to the east and south are under direct rule, and the Romans are determined to rout the resistance of the western tribes, resistance fueled by the druids of Mona. Just before she crosses the channel from Gaul to Britain, Maeve encounters a man she mistakes for Jesus's ghost. This familiar stranger is equally haunted, and the two are drawn into a moonstruck liason that will entwine their lives in "an impossible Celtic knot." For unbeknownst to Maeve at the time, he is none other than General Gaius Suetonius Paulinus, the newly-appointed Roman Governor of Britain. Maeve keeps this troubling tryst a secret even after she finds her long-lost daughter Boudica, the fierce and charismatic queen of the Iceni tribe. Druid-trained in her youth, Boudica married the Iceni king, hoping to rally him to a rebellion for which he has no stomach. Now estranged from her husband, Boudica keeps the old ways, sustained by her pride in her descent form her father (and Maeve's ) the late great druid Lovernios. Seeking to circumvent disaster, Maeve travels back and forth from Iceni country to Mona, from the heart of native resistance to a Roman fort on the Western front, steadfast in her conviction: "Love is as strong as death.